1887 - Marc Chagall is born in Vitebsk, Russia. 1907 - Chagall studies at the School of the Business and Encouragement of Arts. 1910 - Chagall leaves for Paris where he meets Léger, Modigliani, Cendras and Apollinaire. 1914 - First major Chagall exhibition in the Sturm Gallery in Berlin. 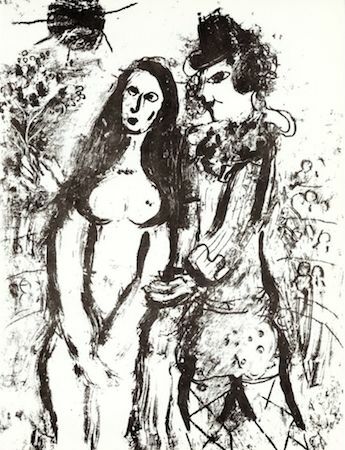 1915 - Chagall marries Bella and leaves for Saint Petersburg where he is mobilised by the military. 1926 - First Chagall exhibition in New-York at the Reinhart Galleries. 1927 - Chagall begins the illustrations for the Fontaine fables (original engravings). 1931 - The artist travels to Palestine to create engravings for the Bible. 1941 - Chagall moves to the United States. 1944 - Bella Chagall dies. 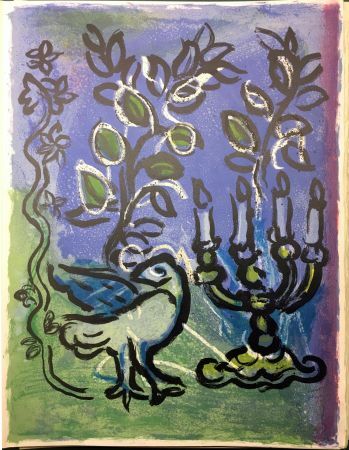 1945 - Chagall creates the costumes and sets for the Stravinsky’s Firebird. 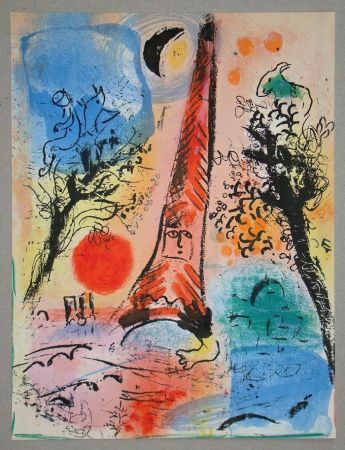 1947 - Chagall returns to Paris, retrospective exhibition at the National Museum of Modern Art in Paris. 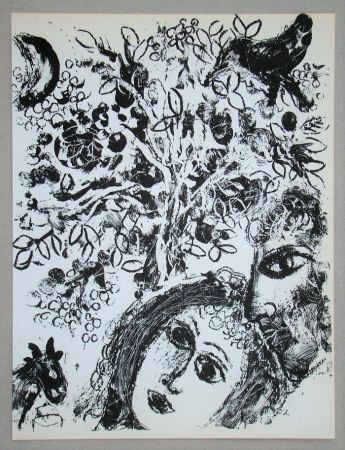 1952 - Chagall marries Valentine Brodsky. He begins lithographs for Daphnis and Chloé for the Tériade editor. 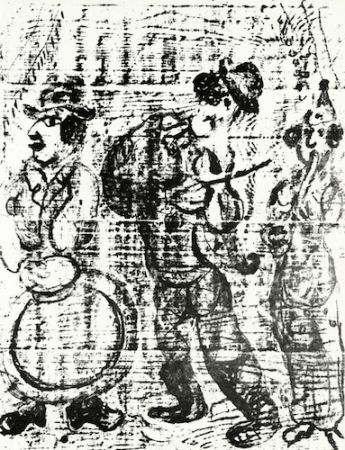 1957 - Exhibition of the engraved work at the National Library in Paris. 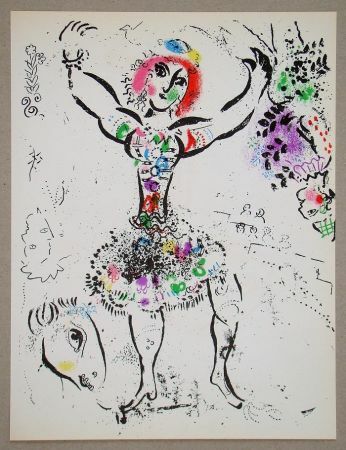 1965 - Chagall creates the sets and costumes for the Mozart’s Enchanted Flute in New-York. 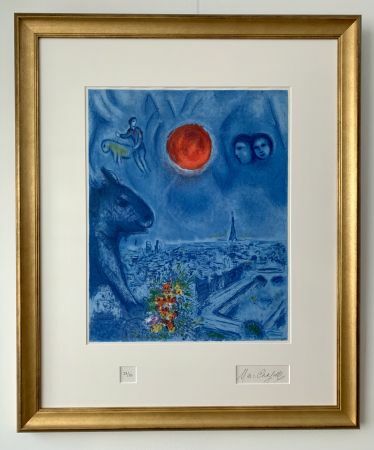 1966 - Chagall moves to Saint-Paul de Vence. 1969 - Chagall places the first stone for the Biblical Message Donation in Nice. 1970 - Homage to Marc Chagall in the Grand Palace in Paris. 1973 - Inauguration of the National Museum of the Biblical Message in Nice. 1974 - Inauguration of the Reims Cathedral stained-glass windows. 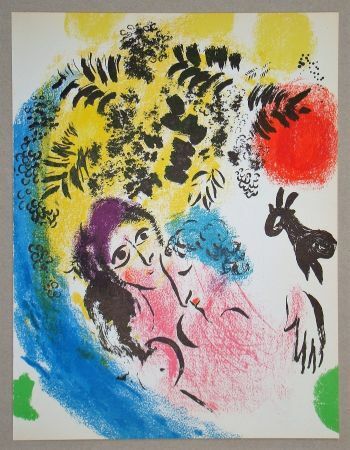 1985 - Marc Chagall dies in Saint Paul de Vence. 1911 - Salon d’Automne, Paris, France. 1914 - Gallery der Sturm, Berlin, Germany. 1924 - Gallery Barbazangues-Hodebert, Paris, France. 1933 - Museum of Basel, Switzerland. 1941 - Pierre Matisse Gallery, New-York, USA. 1946 - Museum of Modern Art, New-York, USA. 1947 - National Museum of Modern Art, Paris, France. 1950 - Museum of Zürich, Switzerland. 1953 - Palais Madame, Turin, Italy. 1956 - Kunsthalle of Basel, Switzerland. 1967 - Maeght foundation, Saint Paul de Vence, France. 1968 - Pierre Matisse Gallery, New-York, USA. 1971 - Chagall Museum, Nice, France. 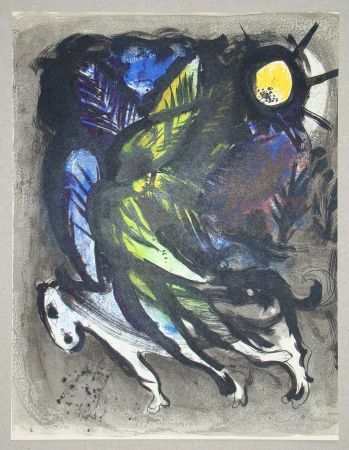 1931 - « Chagall et l’âme juive » from René Schwob, Ed. Corréa. 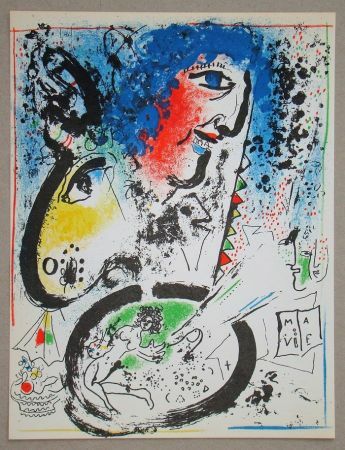 1945 - « Marc Chagall » from Lionello Venturi, Ed. Skira. 1947 - « Marc Chagall, paintings 1942 – 1945 », from Léon Degand, Ed. du Chêne. 1948 - « Chagall with notes by the artist », from Michael Ayrton, Ed. Faber and Faber, London. 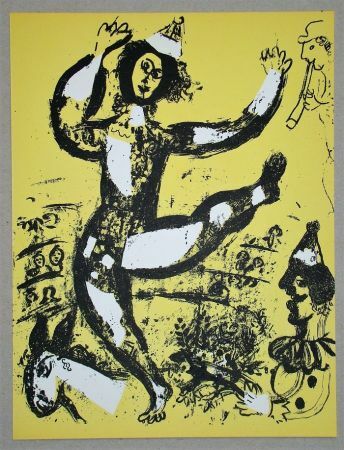 1952 - « Marc Chagall » from Jacques Lassaigne, Ed. Skira. 1957 - « Chagall, das graphische werk » from Franz Meyer, Ed.Hatje. 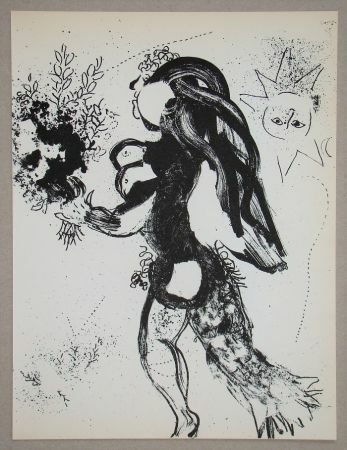 1961 - « Chagall lithographe », from Julien Cain and Fernand Mourlot, Ed. Sauret, Paris. 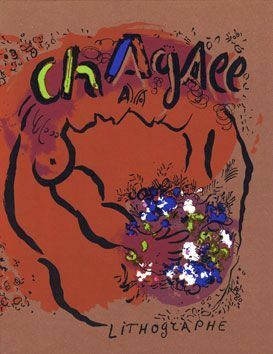 1965 - « Chagall », from Raymond Cogniat, Ed. Flammarion. 1968 - « Chagall », from Alfred Werner, Ed. Tudor Company, New-York. 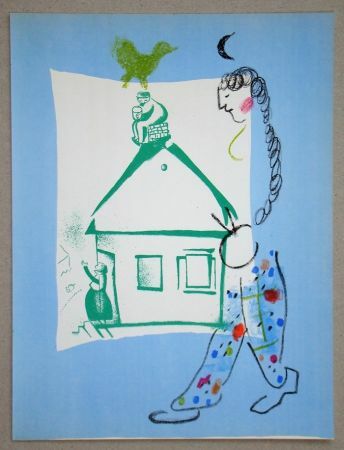 1971 - « Chagall », from David Katalin, Ed. Corvina, Budapest. 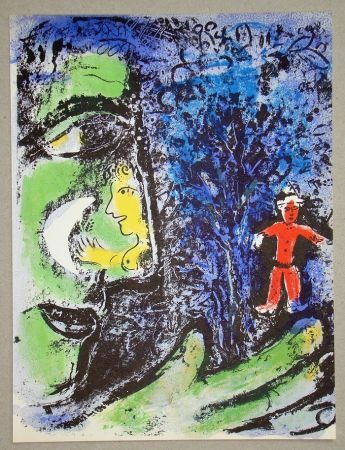 1973 - « Marc Chagall » from Dorothea Christ, Ed. Hallwag. 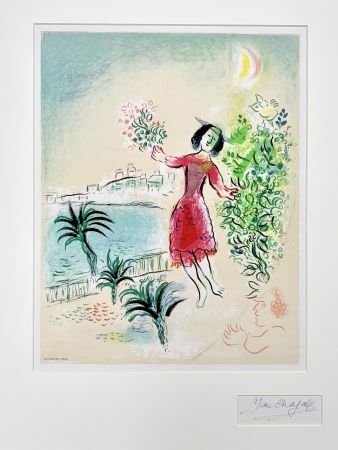 « Chagall lithographe » in 6 volumes (her n° 3 reproduced) are listing all the original lithographs made by Marc Chagall between 1960 and 1986. All the prints are reproduced and described (title, edition, year, publisher, size etc.). Catalogue made by Fernand Mourlot and Charles Sorlier. André Sauret publisher. 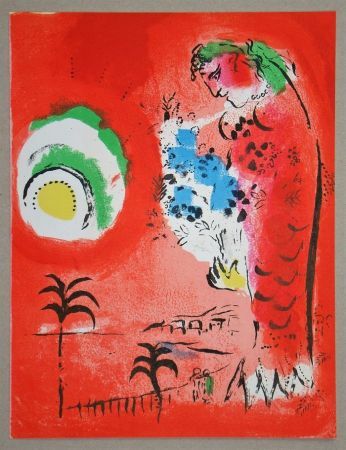 These 6 catalogues are printed in limited edition and contains original lithographs by Marc Chagall. 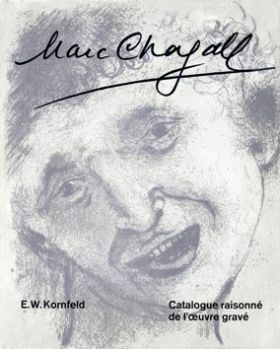 « Chagall, l’œuvre gravé, 1922 – 1966 » Catalogue established and published by Kornfeld in Bern which referenced all the etchings, but also the woodcuts or the linocuts made by Marc Chagall. 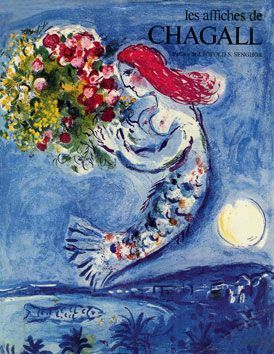 « Les affiches de Chagall » Originals or not, all the posters of Marc Chagall are in this catalogue made by Charles Sorlier, Draeger publisher. 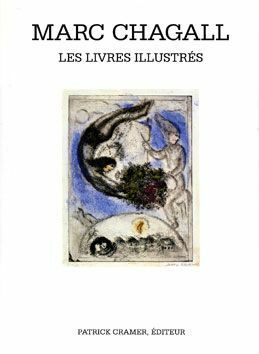 « Marc Chagall, les livres illustrés » Catalogue of the illustrated books by Chagall, more than 100 books are here reproduced and described, incliding the most famous like « Les Ames Mortes » from Gogol, « Daphnis et Chloé » from Longus, or « L’Odyssée » from Homère. Patrick Cramer publisher.